China’s Primacy in Africa: How Does this Even Work? 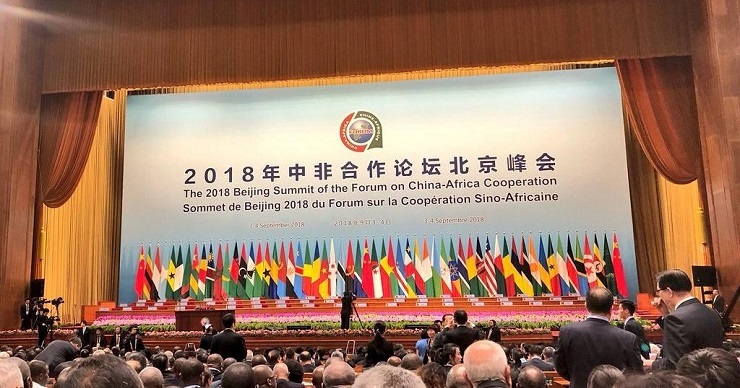 At the very beginning of September, a grand Chinese-African forum was held in Beijing, bringing the heads of 54 African states and 27 regional organizations to the table. 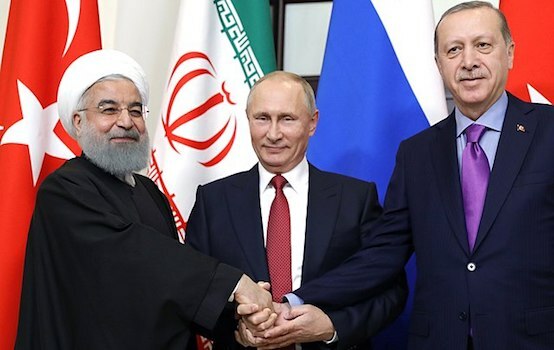 The unprecedented scale of the event is reflected in the number of political and economic breakthroughs that was achieved in the course of the negotiations. The principal political outcome of the summit is the so-called Beijing Declaration, released to the general public on September 4, which consolidated the approaches of various African states to the challenges of today’s world together with reinstating China’s priorities that all are aimed at the promotion of its global OBOR initiative. Admittedly, Beijing succeeded in highlighting all of tis principal concepts in the 24 articles of the declaration – from those that can be regarded Beijing’s exclusive agenda, such as the formal recognition of “One China”policy by virtually all the African states, together with its global outlook, based on the support it has been providing to all Africans as a part of a single economic, political and civilizational project that is enshrined in the notion that mankind shares a common destiny. It is stated that this approach benefits all people of every singly country in this world. Beijing argues that its goals are closely linked with the agenda of the African Union until 2063 and the national development strategies of various African states. The declaration contains a set of generally agreed upon points reflecting the common vision of the African leaders and Xi Jinping. The Declaration establishes a common goal – peace and development, along with a pledge to confront threats such as terrorism, poverty, climate change, food security, infection and epidemics together, while dismissing protectionism. Beijing reaffirmed in the Declaration its intention to provide financial and other forms of support to peacekeeping operations under the auspices of the UN deployed in the conflict-ridden regions on the African continent, to strengthen cooperation with African states in the Security Council in order to reinstate the role that the UN plays in world affairs. While reading this Declaration, one can also come across a thesis about the need to dismantle the Cold War mentality, along with a notion that the UN Security Council should be reformed in accordance with the Ezulwini Consensus that demands that African states are to be granted a greater representation in the Security Council. This document also emphasizes the importance of BRICS, even though the concept mentioned in the Declaration gravitates towards China’s BRICS+ perception of this international union. As for the bilateral relations between China and individual African states, local leaders pledged their commitment to the exchange of experience with Beijing in such spheres of public life as combating poverty, struggle against corruption, socio-economic development, equality promotion etc. The Declaration highlights the role of China in the development of the continent’s infrastructure, primarily railway infrastructure, while welcoming Beijing’s investments in the tourism industry, the development of air transportation services in certain African countries. Of course, the enthusiasm of African states in the support they show to China in these initiatives is not altruistic After all, China’s Xi Jinping, has already promised to invest another 60 billion dollars in the development of the economy of African countries on top of 120 billion dollars that Beijing has already invested in the continent over the last two decades. Formally, invested funds are to be paid back, but not all of them, with parties agreeing on the sum of 45 billion dollars. The remaining 15 billion dollars is China’s voluntarily contribution to the economies of Africa. However, would those investments are going to be repaid or not is still a big question. It is no coincidence that during the above-mentioned summit China declared its readiness to excuse poorest debt-ridden African countries from proceedings in its favor. It is clear that from the newly promised amounts, many loans in one way or another will also be written off the books. It is clear that the generous promises that are usually being followed by massive investments can not but be turned down by the leaders of African countries, even in the face of general public expressing its concern over Africa’s increasing dependence on China. It is clear to everyone that Beijing will not forgive the debt African states are carrying completely, instead it will rather “convert” it in raw material supplies, or in the political support that certain African states will be compelled to show China’s initiatives on the international stage. After all, even at this point it time the level of debt in certain African countries reaches up to 75% of their GDP. 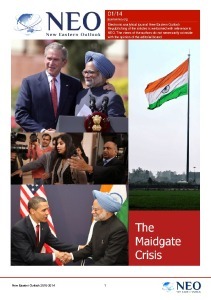 But these facts can hardly be regarded as an obstacle to regional players. The acute demand for economic development is so great across the African continent that from the point of view of African leaders it would make them fools to even object to China’s financial assistance. Therefore, all the arguments made in Washington and London about Beijing’s aggressive “credit colonialism” pretty much fall on deaf ears in Africa. If some states are even willing to listen to those highbrow Western mentors, like the do in Kenya, local politicians will only limit China’s role in their economy, but will not outlaw it. And how could Kenya object to Chinese projects, if Beijing’s exports exceed Kenyan imports by 10 times! And China’s cross-continent railroad from Mombasa is pivotal for the development of the Kenyan economy, and China is willing to invest one billion dollars, while its total cost barely reaches 3.8 billion dollars! A similar situation can be observed in Namibia, where China has already bypassed South Africa as the largest supplier of goods to this country, while getting a share of 20% of this country’s exports in return. Further still, Beijing is engaged in the modernization of Windhoek airport that will be soon filled with Chinese businessmen and tourists. Still, many have a question about China’s true goals in Africa. Clearly, they are strategic in their nature, since Beijing works in cooperation with a total of 51 out of 54 African countries, while being engaged in the construction of 2,500 industrial and infrastructure facilities. For the sake of comparison: the USSR would only cooperate with a total of 35 African states and managed to build 360 facilities in Africa back in the eighties! Washington is expressing its deep concern over China entrenching it its entry points to the continent, namely in Djibouti and Kenya, building a powerful infrastructure with modern railways running deep into the heart of the continent. At the same time, Djibouti agreed to host China’s largest overseas naval base that can house a total of 10,000 servicemen. Many Western observers argue that China is not only willing to trade with Africa, but is preparing the continent for the construction of large production facilities in order to outsource its production needs to Africa. As for its own territory, it’s going to use it for the creations of high-tech enterprises according to the trends of the fourth industrial revolution. The game seems to be well worth the risk – by moving production to Africa, China will drastically reduce production and logistical costs, since it will not be necessary to transport resources and oil from Africa to China to ship back goods. This fact will make all African countries avid supporters of Beijing’s policies. In fact, Beijing wants to do with Africa what the US did with it in the nineties, when American production capacities were transferred to China, getting the production base as close as possible to the actual consumers. Will Beijing manage to fulfill this goal? While there is no certainty over the actual prospects of this ambition due to highly turbulent nature of African politics, Beijing cannot turns its back on this commitment. Too much effort has been invested in its “African project” already.